After her musical journeys deep into the Japanese (‘Haiku’) and Lusitanian (‘Sobremesa’) sounds, this time AMJ sings in Polish with the Cubans. The album ‘Minione’, which was launched on St Valentine’s Day, brings back to life the most charming pre-war Polish tangos. AMJ sings with one of the greatest improvising pianist of our times, fantastic Gonzalo Rubalcaba and his jazz trio. Among hundreds of old tangos and boleros, both leading musicians chose the songs that inspired them most, such as: [‘Rebeca’] or [‘Your lips lie’]. Those pieces are a bridge between the past, the world of the thirties of the past century and present vocal music. They also merge various cultures: Polish, Cuban, Jewish, Argentinian and American. 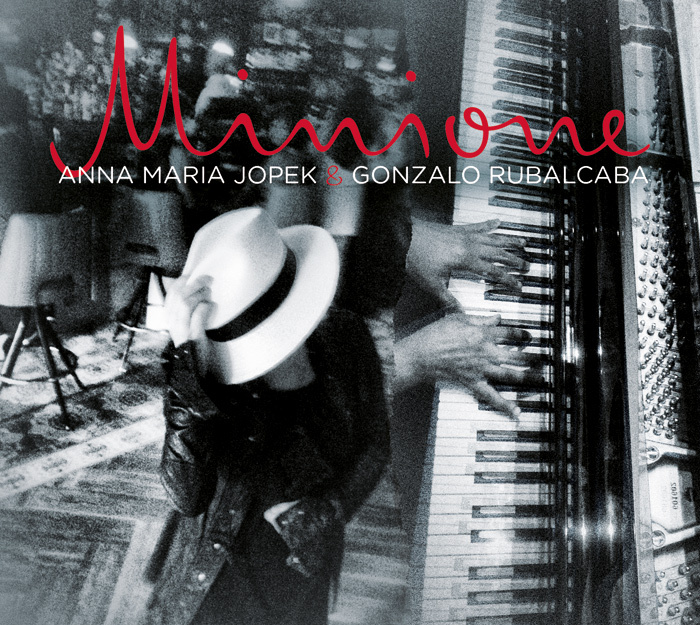 ‘Minione’ is arranged and produced by Gonzalo Rubalcaba. The highest audiophile sound quality of the recording is the merit of the Grammy Awards winner Carlos Alvarez, made in The Hit Factory Criteria Miam, legendary studio in Florida. Photos and the clip for the project were made by Robert Roy Nałęcz during the recording sessions in Miami studios, as well as in Warsaw, Cosmopolitan apartments.